Artisan Aromatics offers the best quality essential oils and essential oil blends – 100% pure & natural – gathered from around the world and then bottled, labeled and shipped from our production facility in North Carolina USA (NOT China). 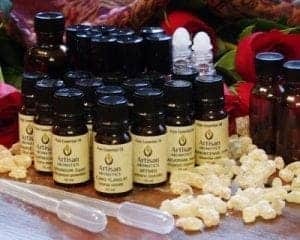 Artisan Aromatics is the primary supplier of Essential Oils, Essential Oil Blends and Aromatherapy Products to a group of over 50 hospitals as well as to smaller clinics and rehab facilities. 3. 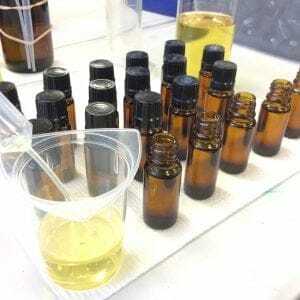 Price – Best price for therapeutic quality essential oils. 4. Experience – over 20 years in the business of importing essential oils. 5. Reliability – each order is filled with care and concern – if you’re not happy, we’re not happy. 7. Documentation & Safety Information – we can provide you with the documentation that you need to provide aromatherapy services in your hospital. For more information on how we can to begin, please Contact form. Be sure to include the name of your hospital or clinic and any questions you may have. Or, give us a call: 800-456-6675. Our Essential Oils for Hospitals are offered in retail sizes (for gift shops or use by staff) and larger sizes too. We are trained aromatherapists with decades of experience in sourcing and importing therapeutic quality essential oils. We offer over a line of over 150 therapeutic quality essential oils and 20 aromatherapy blends plus massage oils, lotions, essential oil diffusers and aromatherapy supplies to retailers, spas, clinics, hospitals, healthcare facilities and other approved businesses in U.S. and many other countries too. If you want true therapeutic quality essential oils at wholesale essential oil prices, you’ve come to the right place. We sell nothing less than true therapeutic quality essential oils. You’ll find no “Fragrance Oils” or low quality “Made in China” kits or adulterated oils here – only the very best quality. Here’s more info on Quality.Our years of experience in aromatherapy ensures that not only are the oils we choose from our select group of growers and suppliers the best aromatherapy quality available but, we take additional steps to make sure you get the freshest oils available.